Jury Instructions Archives - В сложной финансовой ситуации приходит на помощь кредит наличными в Казахстане. 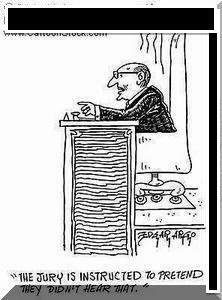 I have discussed the importance of jury instructions. Time should be taken crafting applicable jury instructions based on the law to discuss during the charging conference where the judge determines the jury instructions to read to the jury. What happens if a court reads a misleading and incorrect jury instruction? Final judgment may be reversed and a new trial ordered–reversible error! In a first-party property insurance coverage dispute, the court read a jury instruction relating to the insured and insurer’s burden of proof. The jury instruction, however, was confusing and contained an incorrect burden of proof for the insurer. As a result, the jury found in favor of the insured and a final judgment was rendered. The Second District reversed the final judgment because the burden of proof jury instruction was misleading and incorrect potentially leading the jury to reach a conclusion it might not have reached had the jury instruction not been misleading and incorrect. Citizens Property insurance Corp. v. Salkey, 41 Fla. L. Weekly D509a (Fla. 2d DCA 2016); see also Allstate Ins. Co. v. Vanater, 297 So.2d 293 (Fla. 2000) (explaining that an erroneous jury instruction concerning the burden of proof is reversible error because it could lead the jury to reach a conclusion it might not have reached had the jury instruction been correct). Jury instructions are a vital component of any jury trial. These are the instructions that the trial judge reads to a jury explaining the elements of the plaintiff’s causes of action against the defendant, the defendant’s defenses, the required burden of proof, how to weigh the evidence, etc. There are jury instructions that are considered Florida standard jury instructions. But, outside of these standard jury instructions, there is a great deal of discretion in preparing and presenting jury instructions in civil trials as long as the instructions accurately reflect the law and are not misleading to the jury. Typically, each party prepares their own jury instructions (that are not standard jury instructions). The parties then try to agree on a uniform set of instructions to present to the trial judge. It is common for parties to disagree on these jury instructions as each party prefers jury instructions that best suits their case. The judge then holds what is known as a charging conference / jury instruction conference with the parties to determine those applicable jury instructions that the trial judge will read to the jury. However, when the parties disagree as to the jury instructions to be read to the jury, this serves as the basis of an appeal at the conclusion of the trial. 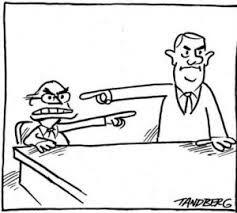 It is important, however, for a party to raise an objection during the charging conference / jury instruction conference to a jury instruction that the party may later need to appeal. See High, Clarke & Feneis, Inc. v. Public Service Mut. Ins., 238 So.2d 169 (Fla. 3d DCA 1970) (affirming judgment because party failed to preserve objection to jury instruction by failing to raise objection at charging conference). It is also important for parties to ensure there is a court reporter at the jury instruction conference so that any objection is properly preserved and made part of the record for the appeal. See Wright v. Coca Cola Bottling Co. of Miami, 256 So.2d 56 (Fla. 4th DCA 1971) (affirming judgment because the record failed to disclose any objection made to the jury instructions). A trial court is accorded broad discretion in formulating appropriate jury instructions and its decision should not be reversed unless the error complained of resulted in a miscarriage of justice or the instruction was reasonably calculated to confuse or mislead the jury. A decision to give or withhold a jury instruction is to be reviewed under the abuse of discretion standard of review. The party defending the instructions on appeal must show that the requested instructions accurately stated the applicable law, the facts supported giving the instruction, and that the instruction was necessary in order to allow the jury to properly resolve all the issues in the case. 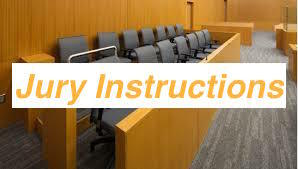 If the jury instructions, as a whole, fairly state the applicable law to the jury, the failure to give a particular instruction will not be an error. See id (internal citations omitted).